Pears In A Wooden Box 5 in. x 7 in. Oil On Panel - BID ON OR BUY THIS PAINTING. These are three pears in an old wooden box. 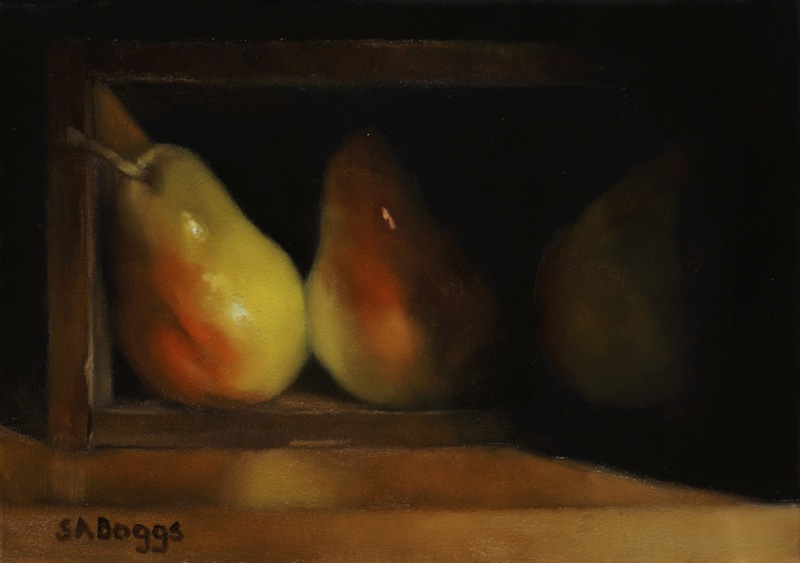 I did something similar to this last year with peppers, and as I was deciding what I wanted to paint today the idea hit me to paint these pears chiaroscuro in a similar composition. The rectangles in the painting are interesting to me considering that once it is in a frame there will be the rectangle of the box, the front of the table in the foreground, and finally the frame around the painting. I'm very happy with this one, I hope that you enjoy it!